The leader of Darfur’s most effective rebel movement, the Justice and Equality Movement (JEM), was recently in Cairo seeking greater Egyptian participation in negotiations between JEM and Sudan’s ruling National Congress Party (NCP). Dr. Khalil Ibrahim accuses the Qatar government of showing favoritism to Khartoum in its role as mediator in the on again, off again Doha negotiations. While Khalil Ibrahim was in Cairo, the Sudan government sought to embarrass his hosts by making a public request for Interpol to arrest the Egyptian government’s guest. Sudanese Justice Minister Abdul Bassit Sabdarat announced he had asked Interpol to “arrest” Ibrahim “wherever he is located,” although the Justice Minister must have been aware that Interpol facilitates international law enforcement cooperation but does not make arrests (Sudanese Media Center, May 10). The statement was designed solely to express Khartoum’s displeasure with Khalil’s presence in Cairo; Khartoum had previously requested Interpol’s assistance in detaining the JEM leader in 2006 and 2008 (Sudan Tribune, June 11, 2008). Khalil Ibrahim is also already on Interpol’s list of fugitives wanted on charges of terrorism laid by the Sudan government. The JEM leader mocked the arrest request in an interview with a pan-Arab daily, asking why Sudanese police don’t arrest him while he is in Sudan (Al-Sharq al-Awsat, May 13). In a Cairo interview, the JEM leader suggested that the latest rapprochement between Chad and Sudan would have little effect on his movement, which has used bases in Chad in the past but is now largely based in Darfur. He also recalled the May 2008 JEM raid on Omdurman, describing the operation as one “worthy of being taught in the military academies… We moved the war from Darfur to the heart of Khartoum and we asserted our power on the ground” (Al-Sharq al-Awsat, May 13). Khalil described the recent elections as rigged, pointing to the results in Darfur as proof. “What is comic is that all those that won in Darfur are members of the [ruling] National Congress. We know that these were not elected by the Darfur masses; the fraud was shameless.” Nevertheless, he urged the leaders of South Sudan to postpone the upcoming referendum on independence in hope of a last minute deal to ensure the unity of Sudan. The JEM leader claimed his movement did not seek political power in Sudan, but was only “looking for a formula to solve Sudan’s problems in general” (Al-Sharq al-Awsat, May 13). After the Egyptian Army invaded the region in 1916, Egypt co-ruled Darfur with Great Britain until Sudanese independence in 1956. In the interests of securing stability on its southern borders, Egypt has become more involved in seeking a solution to the Darfur crisis, including the return of Egyptian troops to Darfur as part of the UNAMID peacekeeping force. Two Egyptian peacekeepers were killed and three wounded earlier this month when a small Egyptian military convoy was ambushed in South Darfur by unidentified attackers (MENA Online, May 7; PANA Online, May 8; al-Jumhuriyah [Cairo], May 11). The men were buried at a mass funeral in Lower Egypt’s al-Dakhalia governate (MENA Online, May 5). In the wake of the Egyptian deaths, Rwanda’s Lieutenant General Patrick Nyamyumba, the UNAMID land forces commander, promised a more vigorous response to attacks on peacekeepers. “Self defense is an inherent right that should be exercised without a doubt” (New Times [Kigali], May 13). 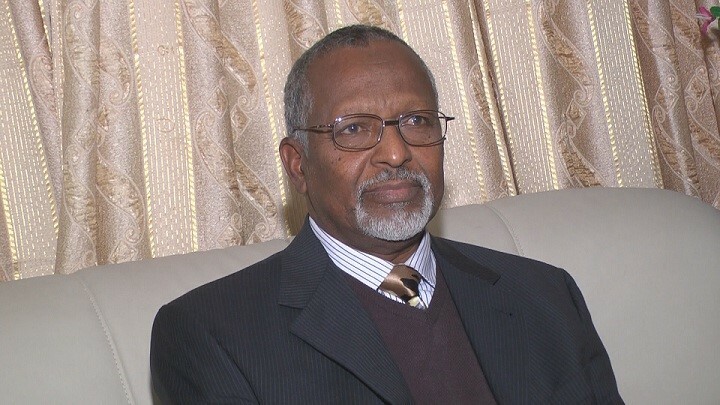 Sudan’s president, Omar al-Bashir, is reported to have become angry over Khalil Ibrahim’s reception in Cairo during a meeting in Khartoum with Egypt’s Foreign Minister Ahmad Abu al-Ghayt and Intelligence Director Omar Sulayman. The president sent two of his closest aides to Cairo on May 15 to resolve what is being described as a “silent crisis” over the JEM leader’s visit to Egypt (al-Hayat, May 14). 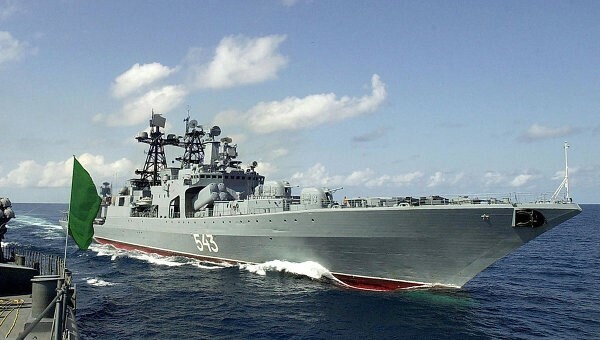 With the ceasefire between JEM and Khartoum in a near state of collapse, Khartoum went on the offensive on May 15, seizing the longtime JEM stronghold at Jabal Moun near the Chad border after several days of shelling. A Sudan Armed Forces spokesman claimed 108 JEM fighters had been killed and another 61 taken prisoner, though JEM claims to have carried out a successful withdrawal. 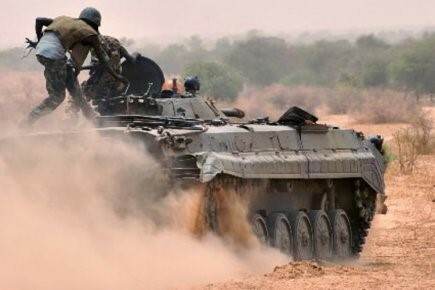 There was also heavy fighting between JEM and the SAF reported near the South Darfur capital of Nyala, with both sides claiming victory (Sudan Tribune, May 16; AFP, May 15; Reuters, May 15). As the January 2011 referendum on independence for oil-rich South Sudan approaches, ongoing mutinies and indiscipline within the South’s military may create conditions of insecurity that threaten to delay the long-awaited plebiscite. Khartoum has little interest in seeing its main source of revenue separate and the central government’s hand is seen by many in the South as being behind the mutiny of General George Athor Deng in the road-less but resource-rich Jonglei Province. The border region between North and South Sudan is extremely tense; recent Sudan Armed Forces (SAF) troop movements in Blue Nile Province and South Darfur provoked a letter of complaint to President Omar Bashir from the leader of the Government of South Sudan (GoSS), Salva Kiir Mayardit (al-Sharq al-Awsat, May 3; AFP, May 1). Both the SAF and the Sudan People’s Liberation Army (SPLA) have been steadily rearming with oil revenues since the implementation of the 2005 Comprehensive Peace Agreement (CPA) (see Terrorism Focus, October 30, 2008). In 2009, SPLA commander George Athor Deng (a Dinka tribesman) was promoted to Lieutenant General and placed in charge of SPLA political and moral orientation. Athor failed to receive the Sudan People’s Liberation Movement (SPLM – the political wing of the SPLA) nomination for governor of Jonglei state in April’s elections, which went instead to Lieutenant General Kuol Manyang. Like a number of would-be SPLM candidates who failed to get the nod from the party as its representative, Athor ran as an independent, finishing well behind Kuol Manyang. Unhappy with the results, Athor appears to have orchestrated a deadly attack on the Doleib Hills SPLA base (near Malakal) on April 30. The Doleib Hills area is contested between the Dinka Luac and the Shilluk of Upper Nile State. The night attack left twelve SPLA soldiers dead. Five prisoners from the attacking force claimed the order to attack had come from General Athor (Sudan Tribune, May 1). Athor appears to have been testing the waters at first, refusing to accept responsibility but admitting that the attackers “fought in my name.” Athor suggested most of the casualties were the result of an ethnically-divided SPLA force shooting at each other (Sudan Tribune, May 2). It was later confirmed that anti-aircraft weapons, three anti-tank guns and a number of machine-guns were taken from the garrison’s arsenal (Sudan Radio Service, May 3). Further clashes between Athor’s men and SPLA forces occurred on May 7 (Athor claimed 50 SPLA were killed to three of his men) and May 10 (Athor claimed 36 SPLA dead to the loss of seven dead and three wounded on his side) in a skirmish 188 miles north of the Jonglei capital of Bor (Reuters, May 7; May 11). Athor’s followers clashed with SPLA forces for the third time in a week on May 12. While Athor continued his improbable claims by saying his men killed 83 SPLA soldiers, an SPLA spokesman described the action as a skirmish that erupted when an 11 man SPLA reconnaissance team stumbled on Athor’s hideout in the thick forests of northwestern Jonglei, with two killed from their side and none from Athor’s group (Reuters, May 12). On the same day, General Athor announced that other armed groups were preparing to converge with his forces to attack the Jonglei capital of Bor (Sudan Tribune, May 12). Athor also boasted that he had sufficient forces to take the town of Malakal, capital of Wilayah (Unity) State (Reuters, May 3). On May 14, the mutineers mounted an unsuccessful ambush of a SPLA truck in northern Jonglei that left five attackers dead. General Athor has since issued a number of demands, including the resignation of Kuol Manyang, cancellation of all election results, dissolution of the GoSS and an amnesty for his followers (Miraya FM [Juba], May 13). After the fourth attack, SPLM Secretary General Pagan Amum said their intelligence section had “credible information” that the NCP was behind General Athor’s revolt, though Athor had already denied any connection to the ruling party in Khartoum (Sudan Tribune, May 17; al-Hayat, May 14). Though Athor has threatened to invade the provincial capitals of Bor and Malakal, SPLA authorities insist Athor is still south of al-Subat with a force of less than 100 men and only three vehicles, including Athor’s personal car (al-Hayat, May 14). However, SPLA spokesman Kuol Diem Kuol said there were signs some police and a number of South Sudan’s armed wildlife rangers (mostly former SPLA fighters) had joined Athor’s mutineers (Reuters, May 14). Salva Kiir, whose authority is being challenged soon after a dominant election victory, appears to be losing patience with his renegade general, making a negotiated settlement increasingly unlikely (Sudan Tribune, May 17). In the meantime, the continuing insecurity in Jonglei has resulted in a lack of cultivation, threatening famine in the area (Miraya FM [Juba], May 14; Sudan Tribune, May 4). General Dau Aturjong Nyuol, who had similarly and unsuccessfully contested the election for governor of Northern Bahr al-Ghazal state, was briefly the subject of reports tying him to General Athor’s revolt through an unnamed Brigadier working under his command (Sudan Tribune, May 5). The Brigadier later turned out to be John Jok Gai, who had passed close to Doleib Hills on his way to Malakal without an awareness of the events transpiring there. 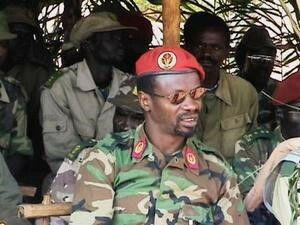 A political rival alleged that John Jok, an SPLA member since 1983, was on his way to defect to General Athor, a charge denied vigorously by the Brigadier (Sudan Tribune, May 3; May 4; May 5; May 9). Despite growing support for the independence option, there are still a few flickers of life left in the “New Sudan” unity program that was official SPLM policy under the movement’s late leader, Dr. John Garang. 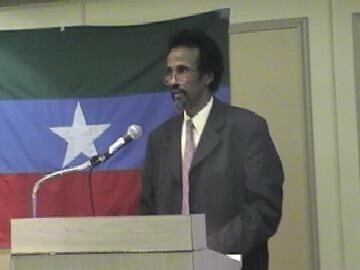 On May 8, SPLM Secretary for North Sudan Yasir Sa’id Arman called on Northern opposition parties belonging to the anti-NCP Juba Alliance (including Sadiq al-Mahdi’s Umma Party, Hassan al-Turabi’s Popular Congress Party, the Sudanese Communist Party and the Khatmiyya Sufi dominated Democratic Unionist Party) to join with the SPLM in creating “the New Sudan.” Garang’s vision of a federal system that would reform Sudan’s highly centralized power structure that maintains power in the hands of three small Arab tribes in North Sudan largely expired when he died in a controversial helicopter crash near the Ugandan border in 2005. Garang was willing to use force if necessary to keep his concept of a unified Sudan alive, but Salva Kiir, like most SPLM/A leaders, is believed to prefer the secession option. While France’s Total holds the largest concessions in Jonglei, Malaysian, Moldovan and British companies have also been carrying out oil exploration operations in Jonglei. The American Marathon Oil Corporation was forced to withdraw from the region after the imposition of U.S. sanctions on the Sudan. Jonglei Governor Kuol Manyang Juuk visited oil company executives in Houston last July, where he urged investors to set up refineries in Jonglei (Houston Chronicle, July 25, 2009). With an exception now being made to the sanctions for South Sudan, American energy interests can now return to the southern provinces. The United States is providing assistance in preparing the referendum, though U.S. envoy to Sudan Scott Gration recently told a Senate committee that “we can’t waste another minute” in preparing for the vote (AFP, May 13). A Sudanese daily recently reported that the SPLM had prepared a document for presentation to a visiting American diplomat in which the SPLM/A offered to provide regional security and counter-terrorism forces in cooperation with AFRICOM in return for logistical support, military training and funds for weapons purchases. The newspaper said the document was prepared by a committee of senior SPLA officers headed by the Minister of SPLA Affairs, Lt. General Nhial Deng Nhial (Dinka). The plan was endorsed at a meeting headed by General Salva Kiir in the presence of Deng Alor (Dinka), the second vice-president of South Sudan, and Yasir Sa’id Arman (Ja’aliyin Arab), the leader of the SPLM’s northern branch. New Trouble on the Horizon? Pan-Arab daily al-Hayat reported that an alliance was being formed in Khartoum between militia leader Gabriel Tanginya (or Tang), former Foreign Minister Lam Akol and General George Athor with the intention of challenging the authority of Salva Kiir Mayardit and derailing the 2011 independence referendum (al-Hayat, May 14). 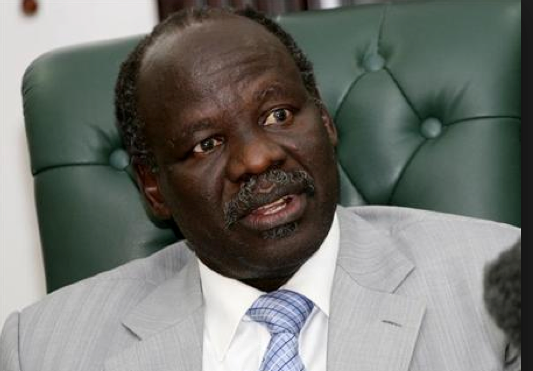 Dr. Lam Akol is the leader of SPLM for Democratic Change (SPLM – DC), an SPLM breakaway party created in June 2009. Lam Akol challenged for president of South Sudan in April’s elections as head of a broad coalition of opposition parties, but gathered only 7% of the vote compared to Salva Kiir’s 93%. The failed candidate maintains the voting was rigged and has the support of veteran Southern politicians such as Bona Malwal and General Joseph Lagu (Sudan Tribune, April 27). Major General Gabriel Tanginya (a.k.a. 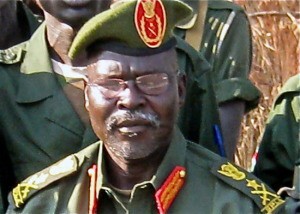 Gabriel Gatwech Chan) led a pro-government militia in the 1983-2005 North-South Civil War. After clashes with the SPLA in 2006, Tanginya withdrew his forces to Khartoum, where he and his forces were integrated into the Sudan Armed Forces (SAF). A surprise return to the southern city of Malakal in February, 2009 resulted in further clashes with the SPLA before Tanginya withdrew once more (see Terrorism Monitor, March 13, 2009). The existence of this alliance cannot yet be confirmed, but it is almost certain that General Athor’s mutiny will not be the last violent confrontation with the SPLM/A. SPLA spokesman Major General Kuol Dim Kuol claims great progress has been made in the professionalization of the SPLA: “The SPLA has formed a nucleus air force and navy. Our pilots and engineers have been trained and local support and administrative units will follow suit” (Afrik.com, May 18). Nevertheless, the transformation of the SPLA from a guerrilla force to a regular army has been beset by problems related to the integration or demobilization of rival Southern guerrilla forces, incidents of indiscipline, delays in salaries and desertions. In April, three soldiers unwilling to transfer to Jonglei province were killed by SPLA military police after they looted and stole a supply truck in Bahr al-Ghazal. A month earlier, a large force of SPLA troops left for Wau rather than report to a training center near Bor (Sudan Tribune, April 19). Despite these problems, the SPLA continues to make progress in developing a trained and unified fighting force, though there seems little chance the transformation will be completed before next January’s independence referendum. Though not all elements in the trend can be confirmed, it appears that the SPLM is considering adopting a role as a U.S. client state in Africa in exchange for U.S. military aid or protection in the event of a renewed civil war with the North following the independence referendum. The GoSS is nearly completely reliant on oil revenues, but Khartoum will be reluctant to allow the immense petroleum reserves of southern states like Jonglei to slip from its hands. Khartoum currently collects 50% of Southern oil revenues. There are many political and tribal elements in South Sudan that have little interest in reconciliation with the Dinka-dominated SPLM/A. In the past these have been assisted by the central government’s intelligence agencies in the interest of disrupting the SPLM/A. Military mutinies are particularly unsettling in South Sudan, where they have a long history of marking the beginning of major conflicts. AIS Update: General George Athor was reported killed in a clash with South Sudanese border guards in Morobo County in Equatoria State in early December, 2011. This article first appeared in the May 20, 2010 issue of the Jamestown Foundation’s Terrorism Monitor. Less than a month after his death in an attack by U.S. and Iraqi forces, a book by al-Qaeda in Iraq’s late War Minister, Abu Hamza al-Muhajir (a.k.a. Abu Ayub al-Masri) has been released for publication on jihadi websites (al-Fajr Media Center, May 10). The work, entitled The Prophet Leader, examines the tactics and military lessons to be learned from the 7th century campaigns of the Prophet Muhammad. The 436 page book was published under the Egyptian al-Qaeda leader’s real name, Abd al-Mun’im bin Izz al-Din al-Badawi. Why write about this topic when others before me wrote about it? I say: There are many reasons; most importantly, we in the Islamic State of Iraq assume that we are proceeding from the same starting point of the prophetic state, and that we lived and live in an environment that is almost identical to it, whether in its internal or external situation, or what is today called the regional situation. Al-Muhajir says it is important to review the campaigns of the Prophet “so that it will not be stated that we innovated something strange.” Al-Muhajir refers here to charges from other Sunnis in Iraq that ISI/al-Qaeda had transgressed the Islamic prohibition on bid’ah (innovation) in their tactical methods, which are heavily reliant on assassinations, suicide attacks and the targeting of civilians in mass-casualty bombings. It was Sunni revulsion with these methods that led to the development of the anti-al-Qaeda Sahwah militias, a major setback for the ISI. 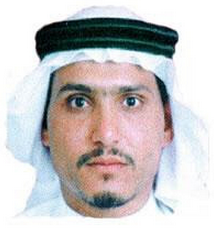 In recent days the Islamic State of Iraq [the political structure of al-Qaeda in Iraq] named its new War Minister as al-Nasser Lideen Illah Abu Sulayman. Though the name is almost certainly a pseudonym, the new War Minister announced the start of a new military campaign as a reminder that ISI is not finished as a jihadi movement after the death of its two top leaders. In the meantime, quotes from al-Muhajir’s speeches and statements have begun to appear on jihadist websites in an apparent attempt to posthumously shape al-Muhajir as a notable practitioner of jihad in both action and theory. At least 45 people were killed and over 80 wounded in a May 1 bombing of the Abdallah Shideye Mosque in Mogadishu’s Bakara market. The mosque and the market are currently controlled by the radical al-Shabaab Islamist movement. The next day a hand grenade was thrown into a Shabaab-controlled mosque in the southern port of Kismayo. One person was killed and seven injured, though the blast missed senior al-Shabaab officials who were still on their way to the mosque (Shabelle Media Network, May 2). Days earlier, a landmine was set off just outside the Shabaab-controlled Abu Hureyra mosque in the Bakara market, killing one and injuring eight (Garowe Online, May 1). While we were in the middle of our lesson and it was near prayer time, three explosions happened, one after the other went off, and I saw the chair I was sitting on fly across the mosque. I saw my white thawb [an ankle-length cotton garment] was red with blood and I couldn’t tell where the blood was coming from. When I opened my eyes, I saw that many people were in pain and that many others had been martyred (al-Qimmah, May 8). Al-Shabaab spokesman Shaykh Ali Mahmud Raage (a.k.a. Shaykh Ali Dheere) insisted “foreign mercenaries” were responsible for the attack (Radio Gaalkacyo, May 2). 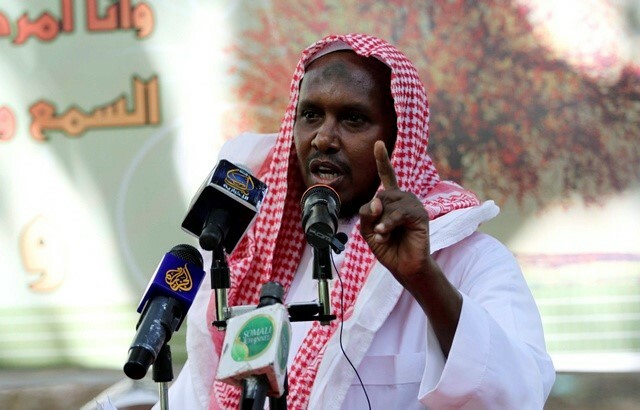 Shaykh Ali Muhammad Husayn, the Shabaab governor of Banadir region (which includes Mogadishu), accused the Transitional Federal Government (TFG) of carrying out the bombings, vowing immediate revenge (Voice of Mudug Radio, May 2). The shaykh also said the movement would improve security in mosques and other public places, describing the bombing as “an unforgettable lesson” (Shabelle Media Network, May 2). Eventually al-Shabaab leaders agreed the explosions were the work of American mercenaries working for private military contractors Blackwater (now Xe Services LLC). 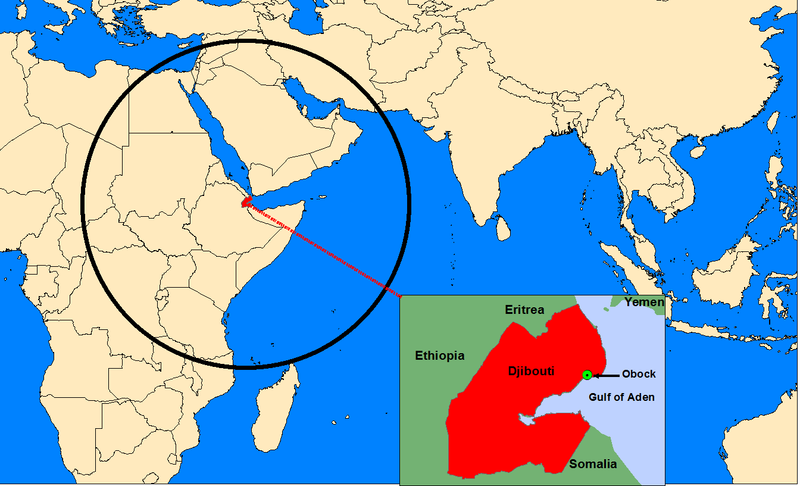 According to Shaykh Fu’ad Muhammad Qalaf, Blackwater personnel had arrived in Somalia two weeks earlier and were involved in training “apostate” forces at the Halane military base near Mogadishu airport, currently used by African Union peacekeepers fighting on the side of the TFG (al-Qimmah, May 1; May 8; Garowe Online, May 4). Al-Shabaab leaders alleged that Blackwater operatives had been responsible for similar mosque bombings in Iraq and Afghanistan. Shaykh Ali Mahmud Raage warned of the arrival of “Blackwater mercenaries” last January. “We have discovered that U.S. agencies are going to launch suicide bombings in public places in Mogadishu. They have tried it in Algeria, Pakistan and Afghanistan… They want to target Bakara Market and mosques, then use that to malign us.” The shaykh told tribal elders that Blackwater/Xe was recruiting locals to help carry out a bombing campaign (Dayniile, January 11; Press TV, January 12). In March, the shaykh claimed private U.S. contractors such as Blackwater/Xe were responsible for a wave of assassinations of Shabaab leaders (al-Jazeera, March 10) The Shabaab spokesman was quick to remind reporters of his earlier warning after the attack on the Abdallah Shideye Mosque (Garowe Online, May 1). The introduction of mosque bombings to the Somali conflict has shocked many Somalis, who almost reflexively look beyond their own culture for an explanation of this phenomenon, much as they did with the earlier introduction of suicide bombings by al-Shabaab. A TFG spokesman described the mosque attacks as a “new foreign barbaric phenomena”; leaders of both al-Shabaab’s rival Hizb al-Islam militia and the pro-government Ahlu Sunnah wa’l-Jama’a (ASJ) militia alleged a foreign origin for the attacks (Garowe Online, May 3). With no claim of responsibility, there is still a wide range of suspects, including the Sufi ASJ, which has suffered from al-Shabaab’s continuing destruction of Sufi shrines and the tombs of revered Sufi shaykhs (see Terrorism Monitor, April 1). 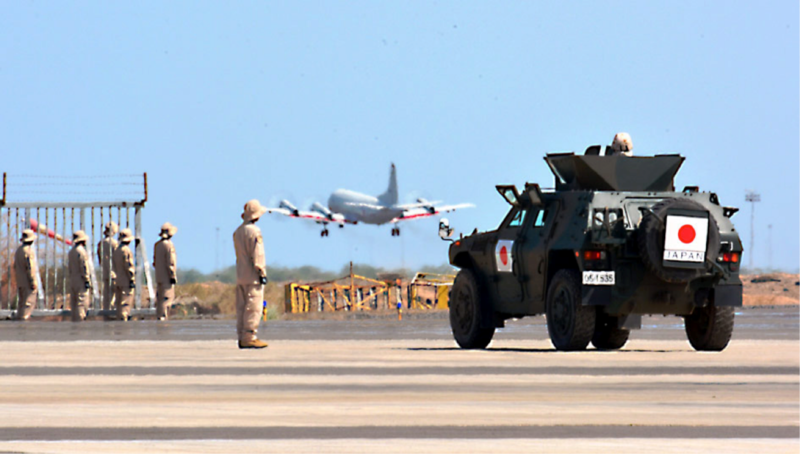 Xe owner Erik Prince urged the U.S. government last January to deploy private military contractors to fight “terrorists” in Somalia, Yemen, Nigeria and Saudi Arabia (The Nation, May 3; Times Online, May 5). 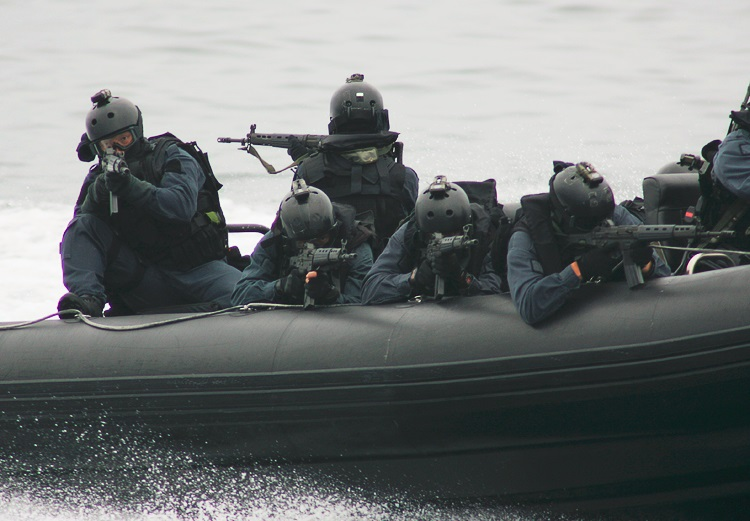 Rumors of Blackwater/Xe’s presence and activities are already common currency in Pakistan and now appear to be sweeping Somalia as culprits are sought in a vicious new stage of the continuing transformation of Somalia’s civil war from clan-based warfare to sectarian struggle. 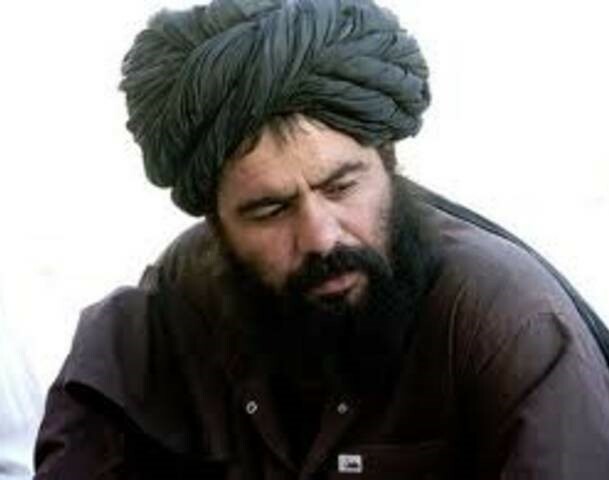 Thirty-year-old Sirajuddin Haqqani controls a powerful insurgent group known as the Haqqani Network along Afghanistan’s southeastern border with the Tribal Areas of north-west Pakistan, particularly in the provinces of Khost, Paktika and Paktia (Al-Balagh Media Center, April 13). Operating with apparent autonomy under the broader structure of the “Islamic Emirate of Afghanistan” (the Taliban-dominated political structure of the Islamic resistance), Sirajuddin’s network has earned a reputation for deadly efficiency in its attacks on local and international forces in the region. Sirajuddin recently answered questions from forum members on a jihadi website, part of an effort to create a public profile for the once reclusive mujahid (ansar1.info; see also Terrorism Monitor, January 28). While you sometimes hear some news on the martyrdom of some mujahideen by an unmanned aerial vehicle, you should also know that the mujahideen do weaken their enemies and make them suffer heavy casualties and financial losses. In addition, you should know that the way of war is not paved with flowers. Hardships and sacrifices are what bring victory. With regard to the devastating Khost suicide bombing that targeted CIA personnel last December, Sirajuddin claimed this operation had helped reduce the CIA’s operational accuracy by 60%. He noted elite personnel and the “smartest CIA officers” had been killed, while spies (such as Khost bomber Humam Khalil Abu Mulal al-Balawi) became mistrusted, leading to a disruption of CIA intelligence gathering and delays in the process of recruiting new spies. The Crusaders’ assaults against Afghanistan aim primarily to establish Greater Israel. The current Crusade plan, which is designed by Greater Israel, aims to remove the obstacles that hinder the establishment of Greater Israel. We believe that defeating the United States in Afghanistan will help to hinder this Crusade against the Muslim world. In addition, we believe that their defeat will pave our way for liberating Jerusalem.. Elsewhere, the mujahideen commander claimed the United States and its agents were encouraging the production of opium, while the mujahideen had no connection with the crop and did not use it for financial support. Sirajuddin also denied reports the Taliban were burning girls’ schools, claiming, “This is a blatant lie. It is a weird game played by the Crusaders. They build schools for girls to win over the public and then burn them to harm the reputation of the mujahideen of the Islamic Emirate of Afghanistan.” He added that peace talks would be impossible so long as the occupation continued. 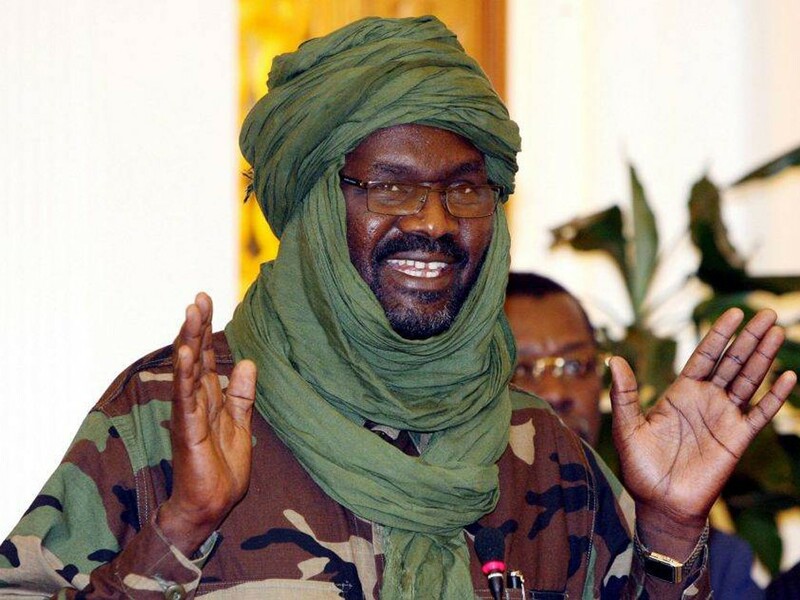 Reports have emerged of a pair of battles on April 24 and April 28 between Chadian government forces and those of the Front Populaire pour la Renaissance Nationale (FPRN), one of a number of rebel movements seeking to overthrow the government of President Idriss Déby. The fighting apparently took place close to the village of For Djahaname, near the border with Sudan’s Darfur province. 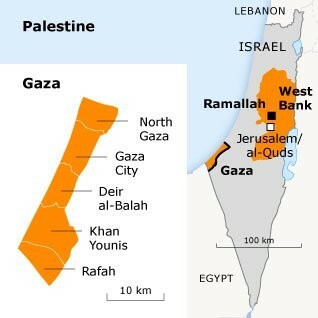 Fighting took place in December 2009 in the same region, which is home to the cross-border Salamat Arab tribe (al-Sharq al-Awsat, May 1). Government spokesmen claimed the army had killed 105 insurgents and captured another 80 in the two clashes. FPRN forces led by Adam Yacoub Kougou claimed to have defeated the government’s troops on April 24, capturing a large quantity of weapons, but after the second battle it said only that large numbers of troops had been lost on both sides and that it was awaiting expected air raids by Chadian warplanes (AFP, April 24). The FPRN leadership later claimed the regime had been “caught lying red-handed,” and that 64 wounded soldiers had been taken to French military facilities in Chad for medical treatment (AFP, May 1). Unlike most of the Chadian opposition groups, which are based across the border in Darfur, the FPRN is based inside Chad. The usual pattern for such attacks is for N’Djamena to claim that those responsible were working for the Sudanese government, followed by retaliatory attacks by Chad’s own proxies in Darfur. When the initial attack occurs in Sudan, the entire process is reversed. This time, however, N’Djamena did not blame Khartoum, keeping instead to the reconciliatory path the two nations have been following since January. Rather than recriminations, N’Djamena actually congratulated Sudanese President Omar al-Bashir on his “brilliant” victory in the recent Sudanese elections (Reuters, April 29). President Déby also did Khartoum a favor by denouncing the Southern Sudanese separatist movement, saying independence would harm both Sudan and the region at large. The Chad-Sudan border was reopened in mid-April for the first time in seven years (AFP, April 14). The N’Djamena regime began negotiations with several opposition groups in April as part of the larger reconciliation program, but the FPRN was not involved in these talks (AFP, April 26). The movement consists mainly of rebels who left the umbrella UFR group because they opposed negotiations with the Déby regime. Another rebel movement, the Mouvement pour la democratie et la justice au Tchad (MDJT), signed a ceasefire with the government on April 24 (PANA Online, April 24). MDJT fighters are scheduled to be integrated into Chad’s military and security forces. Déby is said to be exhausted with never-ending negotiations with Chad’s rebel movements, and has told the remaining rebels that he has “no money, no positions, or anything else to give” (L’Observateur [N’Djamena], April 14). Unfortunately for Déby, the clashes came just as his government was attempting to persuade Europe and the United Nations that peacekeepers are no longer needed in eastern Chad, the site of the battles. N’Djamena has insisted on the departure of the U.N.’s Mission des Nations Unies en République centrafricaine et au Tchad (MINURCAT), a 5,000-man peacekeeping mission deployed in the Central African Republic and the eastern regions of Chad, the frontline of the conflict between Déby’s regime and the insurgents. Without cooperation from N’Djamena, MINURCAT’s Irish and Finnish contingents have decided to withdraw, while the mission as a whole will be drastically scaled back as heavy weapons and equipment are withdrawn from Chad. After May 16, the mission will consist of only 1,900 men, far short of the figure necessary to be effective. Déby has called the mission “a failure,” suggesting the peacekeepers were unwilling to leave the safety of their fortified bases (AFP, April 23). Across the border in Darfur, it appears that the peace accord between Khartoum and the rebel Justice and Equality Movement (JEM) is beginning to unravel. JEM, which appears to have lost some degree of its former support from N’Djamena, has reported various low level clashes with government forces in recent days. JEM forces in West Darfur claim Sudanese MiGs and Antonov aircraft are flying reconnaissance flights over JEM deployments in West Darfur in preparation for a major government offensive using heavy weapons and local auxiliaries (Sudan Tribune, April 22).